You may remember last year at this time I suggested a visit to the Neue Galerie Gift Shop as all things Austria seemed to be in the air. Not only should you consider stopping by this season for a chic selection of design items perfect for the holidays but you can see the Schiele portrait exhibit and stop in the charming Café Sabarsky for some heisse getränke (hot beverages) and Viennese sweets to ward off the bitter weather. But someone else also recently had Austria on his mind. 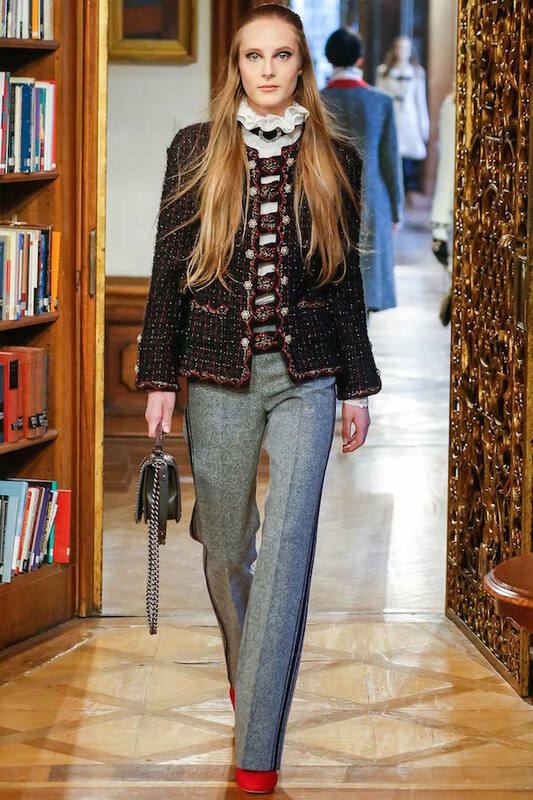 Last week Karl Lagerfeld presented his Métiers d’Art show for Chanel at the Hotel Schloss Leopoldskron in Salzburg. 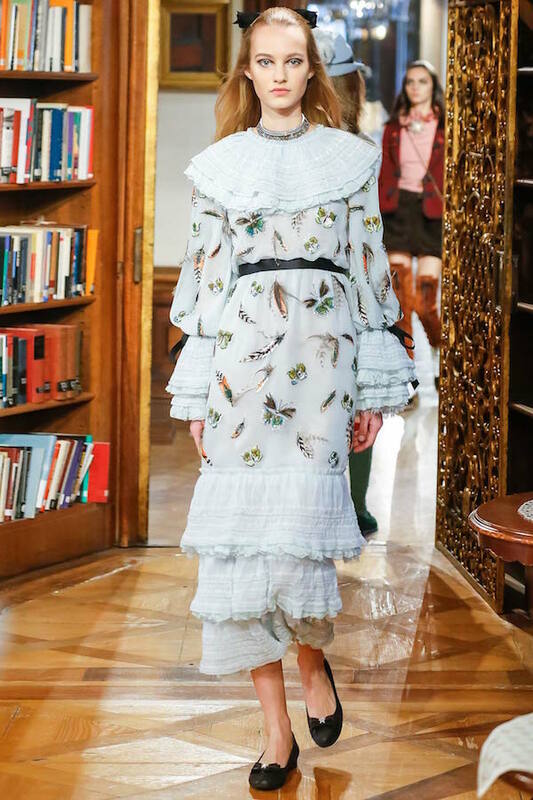 While Wes Anderson’s recent Austro-Hungarian reverie involved a slightly more motley crew, Chanel’s vision was of gilded baroque luxury. A peek in Haute Couture Ateliers gave you an idea of the exquisite craftsmanship involved at this level and the show featured the work of the ten artisanal houses Chanel acquired for their Paraffection division. Chanel also produced a beautiful behind the scenes video showing “le savoir-faire” of the ateliers. served as inspiration for many of the lacy details including the frothy gown worn in the finale by Cara Delevingne. And the influence of Tyrolean tracht was seen in the braid, embroidery and material throughout. 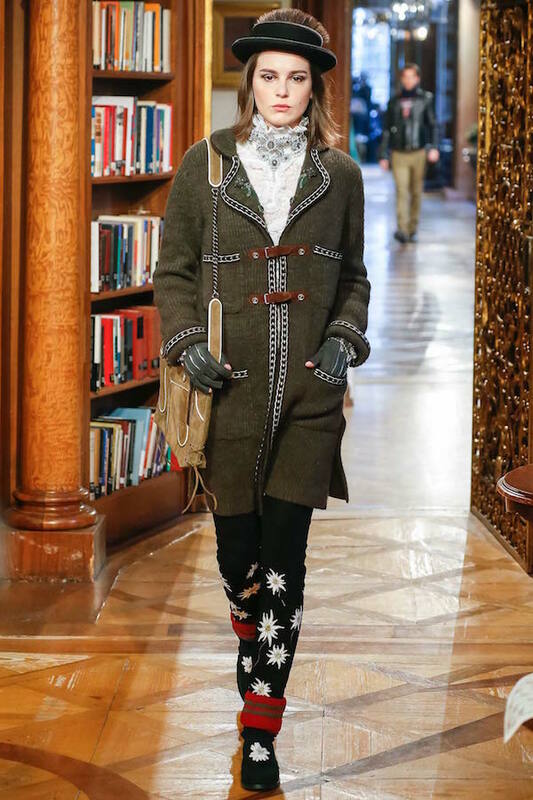 Capes, full length coats, hats with feathers and charming edelweiss embroidery all evoked the alpine vision. The history of the brand is inexorably linked to the Austrian theme as Chanel herself, while vacationing at the Mittersill Hotel in Salzburg, was inspired to created her signature jacket by the lines of an elevator attendant’s uniform. 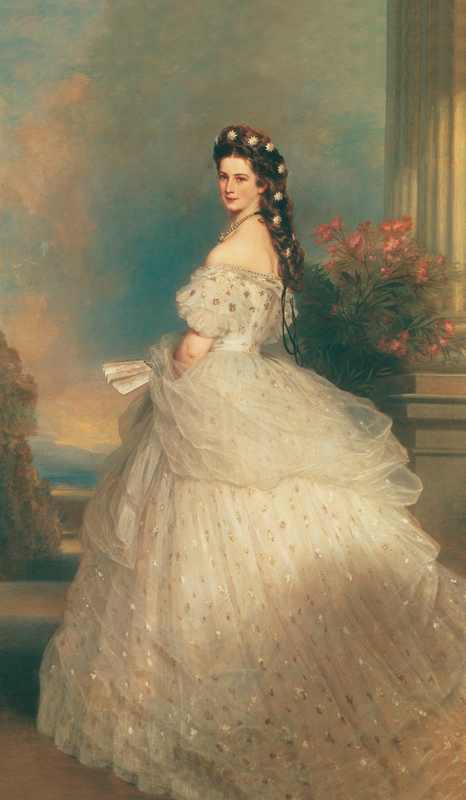 This anecdote is played out in the short film, Reincarnation, Lagerfeld created starring Pharrrell Williams and Cara Delevingne as modern day Emperor Franz Joseph I and Empress Elisabeth. And you never know whether the background vocals are chanting Sisi or CC – all part of the fantasy. 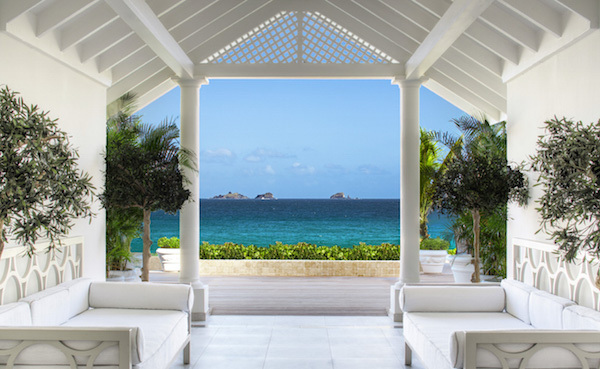 they are now the exclusive exercise accessories at The Breakers and have been featured in Vogue, New York Magazine and new luxury shopping site Crest and Co. as holiday picks. My favorites? 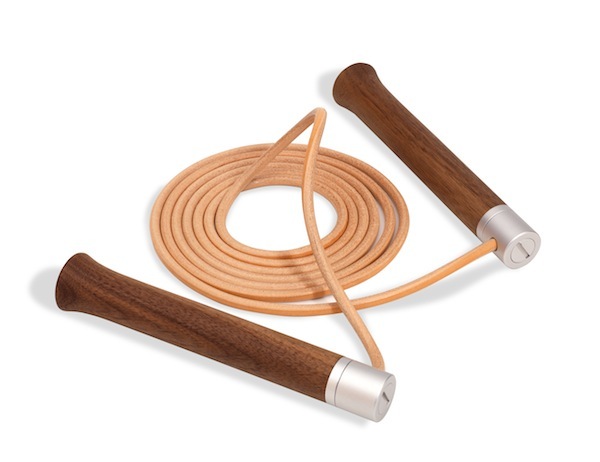 The chic Robustos – your arms will thank you! If the design aficionados on your list are more arm chair oriented, then you might want to consider the new Criterion Designs. 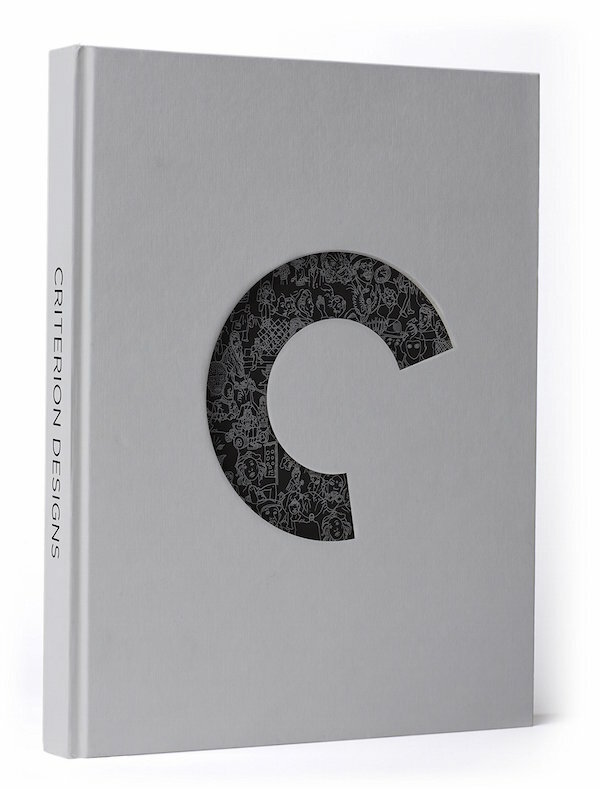 Since 1984, the Criterion Collection has been gathering the greatest films from around the world and “publishing them in editions that offer the highest technical quality and award-winning, original supplements.” From cult favorites to big-buck blockbusters, each film has been packaged with thoughtful and original creativity. Celebrating the collection’s 30th anniversary, the volume includes commissioned designs for many of the cover since its inception as well as “supplemental art, and never-before-seen sketches and concept art plus a gallery of every Criterion cover since the collection’s first laserdisc in 1984.” Take a peek. 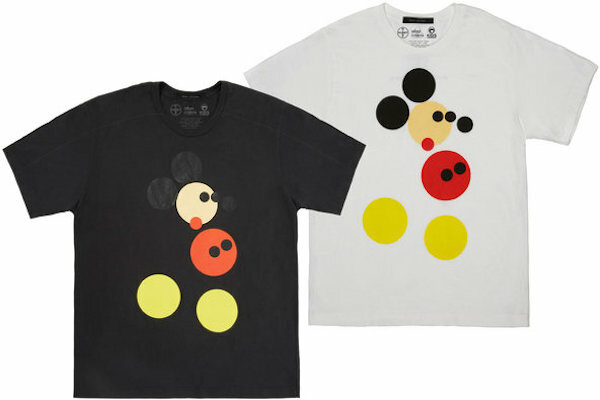 And for young at heart design fans, the creative collaboration of Damien Hirst and Marc Jacobs resulted in this Mickey T-Shirt, with all sales benefiting Kids Company, a charity providing support for inner city children in London. Stateside readers can no longer order in time for the holidays, but those in the UK have until Friday the 19th. 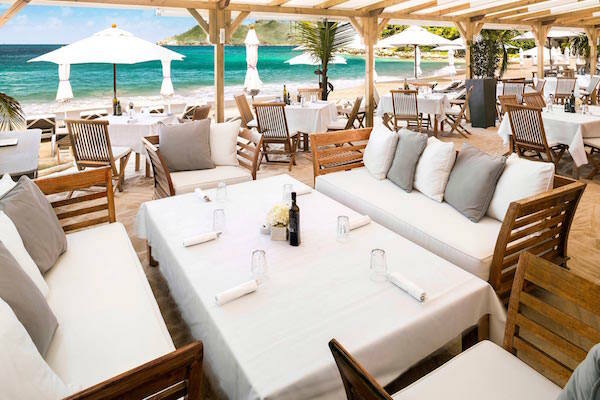 If after holiday indulgences, despite your good intentions with your Hock equipment, you need a break, there is the new Cheval Blanc St-Barth ! It was looking pretty good during today’s monsoon-like weather. 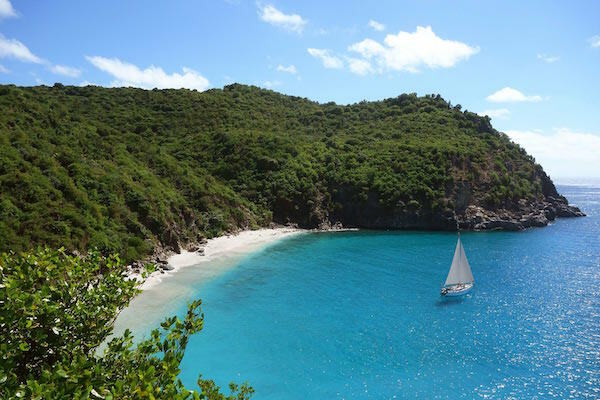 This entry posted in fashion, travel, Uncategorized. Entry Tags: ateliers, Austria, Chanel, fashion, haute couture, Neue Galerie, Salzburg Bookmark the permalink. Fashion truly can be wearable art – these are no exception – so dreamy! Thanks for sharing!! I have been obsessed with the movie “Sissi” with Romy Schneider, especially this past year, so this Chanel collection is pitch perfect for me!! This is why we adore your blog! It will be a long time before I forget seeing that feather sewn into the beaded outline to create a butterfly. Amazing how exposure to brilliant creativity enhances one’s own ability. Chanel in Salzburg was quite a holiday dream. Thank you Stacey ! These details, the trim, the embroidery are so equisite and make all the difference! Loved the 2 Chanel films–so romantic and beautiful! Thank you for sharing them! 82 queries in 0.940 seconds.